Is SGP GLAS.t Compatible with Speck CandyShell? Many Speck CandyShell iPhone case owners might ask does the SGP Steinheil GLAS.t screen protector compatible with Speck CandyShell iPhone case. 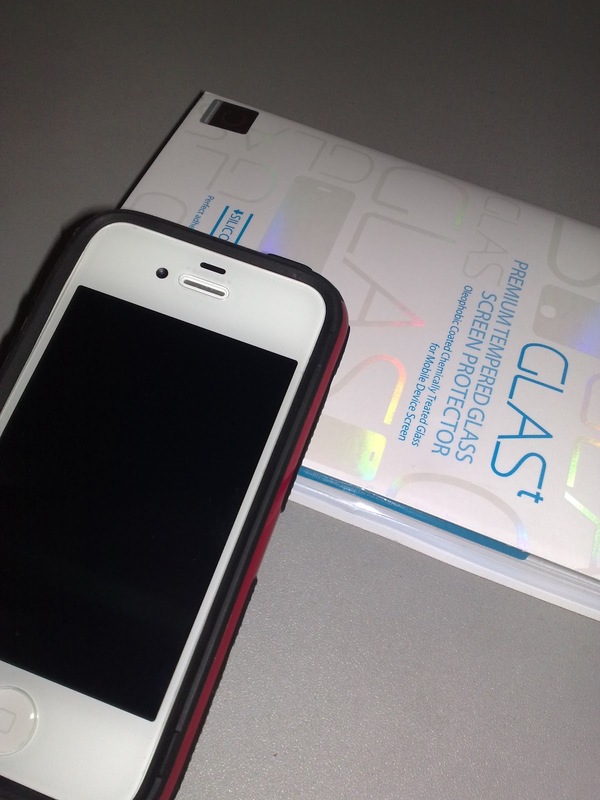 The case I'm using is the Speck CandyShell GRIP and I have applied the GLAS.t screen shield on iPhone 4S as shown the picture below. The phone fits in well so I would say yes, they are compatible as long as the screen protector is installed properly because the case don't cover the 0.4mm thick glass. So the room for error of screen protector installation is minimal. Otherwise, the case will raise the screen protector a bit causing tiny bubbles underneath. Although it just fits in CandyShell case, I will recommend you to use SGP's or other bumper style cases with the SGP Steinheil GLAS.t screen protector. That will gives you a peace of mind.